Being photographers ourselves, we have realized from our own experience that there are very few galleries exclusively addressed to photographers, although there is such a need. So, in 2014, we decided to create a space in order to give photographers, worldwide, the opportunity to present their work and become known to an audience outside their country of origin. 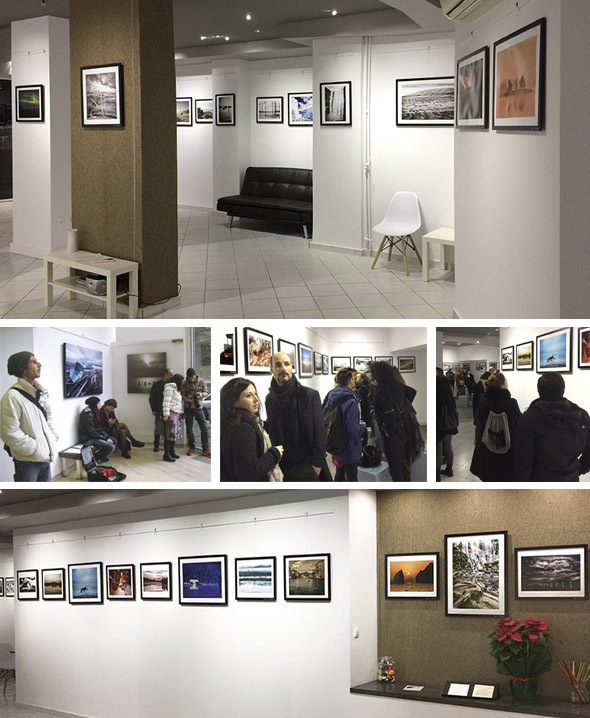 Our aim is to organize 1 group exhibition per month, presenting more than 70 photographs with original and inspired work each time. Additionally, we would like to give the viewers the chance to get to know as many photographers as possible through their solo exhibitions. 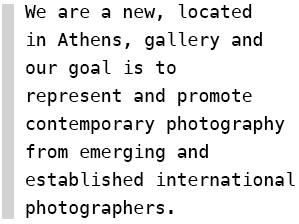 We hope that we will succeed in stimulating the viewers and presenting new trends and ways of expression in photography and that our name will be a synonym to innovation in this area.